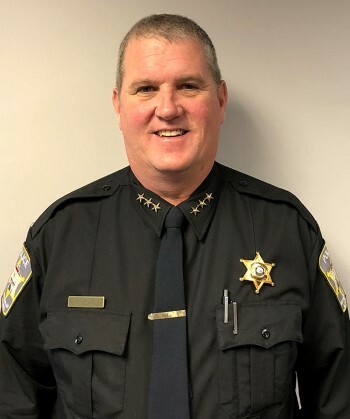 The City of South Beloit is pleased to announce that the Illinois Association of Chiefs of Police (ILACP) has honored Chief Patrick Hoey by being designated as a Certified Police Chief through the Association’s Police Chief Certification Program. This designation signifies that Chief Hoey has met the highest standards of competency and conduct for his profession. To be eligible for consideration, those interested in pursuing certification must first meet the ILACP’s criteria for experience, education, professional membership, and community involvement. In the first phase of the process, candidates must demonstrate extensive law enforcement experience, including command and executive posts, a solid educational background that encompasses continuing education and training, and an active participation in relevant professional and community organizations. After meeting these requirements, they are allowed to proceed with the certification examination, which tests their knowledge of managerial concepts, modern policing concepts, law and leading cases, and budgeting principles. Candidates who demonstrate their mastery in these areas must then face a panel of their peers, consisting of three active Illinois Police Chiefs. During the structured interview, the panel questions and evaluates the candidate in the areas of leadership, management, public relations, verbal communication and ethics. Only those who have successfully completed all phases of the assessment process are granted the distinction of a Certified Police Chief in Illinois. Chief Hoey is among only a select few Illinois police command staff able to meet the stringent requirements of the program since its inception in 1998. Illinois is the only state in the US that currently offers a Police Chief Certification Program based on an extensive, legally validated examination process. The ILACP, in conjunction with Stanard & Associates, Inc., a Chicago-based public safety consulting firm, oversaw a rigorous development and review process that involved police chiefs from across the state. The program is designed to recognize those law enforcement professionals who excel in all facets of the police chief function. To maintain certification status, police command staff must meet on-going requirements and apply for re-certification every 5 years.